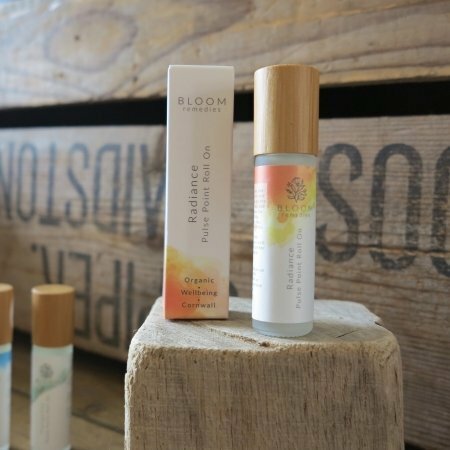 This natural and organic pulse point roll is part of Bloom Remedies’ Serenity Slumber wellness range, and contains a soothing blend of Ylang Ylang, Geranium, Sweet Orange. These oils are known to soothe the nervous system, and aid relaxation and sleep. Apply to the pulse points and inhale during the evening in order to soothe the senses and help calm the mind before sleeping. The roll-on can also be carried with ease and used while out and about, when the nervous system requires calming, soothing or relaxing. Use daily as part of your skin loving natural skincare ritual. Contains Geraniol, Linalool, Citral, Limonene, Citronellol, Farnesol, Benzyl benzoate/salicylate/alcohol – natural component of essential oils.